Ester-C ® is an innovative form of vitamin C which also includes the metabolites of vitamin C: L-threonic, L-lyxonic and L-xylonic acid. These metabolites help vitamin C get into blood circulation faster, in larger quantities and with fewer losses. In addition, metabolites of Ester-C ® help the vitamin penetrate into white blood cells more efficiently. Ester-C ® is an innovative form of vitamin C which also includes the metabolites of vitamin C: L-threonic, L-lyxonic and L-xylonic acid. These metabolites help vitamin C get into blood circulation faster, in larger quantities and with fewer losses. In addition, metabolites of Ester-C ® help the vitamin penetrate into white blood cells more efficiently. The white blood cells, as known, require for their metabolism high levels of vitamin C. In this way, Ester-C ® enhances the crucial role of white blood cells to the immune system. 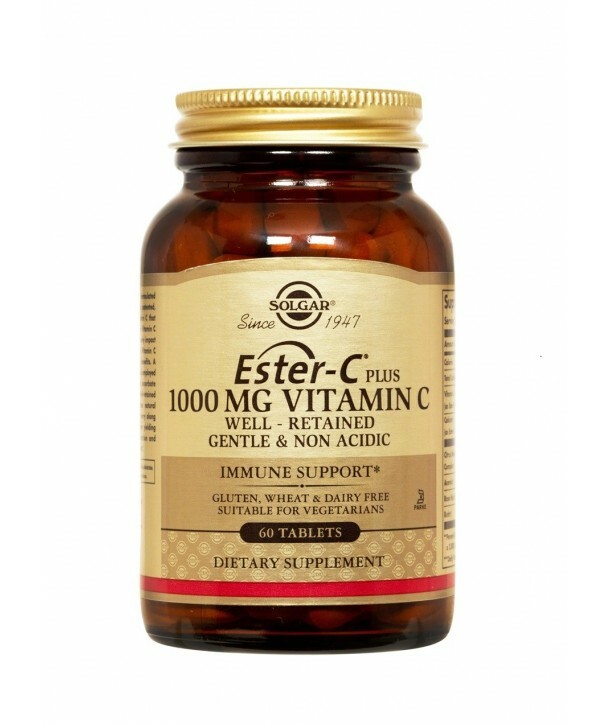 Ester-C ® is absorbed about four times more, is activated two times faster and remains in circulation twice than regular vitamin C.